Two young pitchers put up quality outings Thursday night, but it was the Dodgers who pulled out a five-run seventh inning to take the rubber match with a 5-2 victory against the D-backs. "As far as breaking through with Ray, yeah, I think we couldn't figure him out early," Dodgers manager Dave Roberts said. "He's got a good fastball, then he started mixing in the slider, the change. When it's above the belt, it's tough to barrel up. He had some walks. We stressed him once early, but we just couldn't break through. For us, that inning was big." The rally allowed Los Angeles to capitalize on a strong outing from Ross Stripling, who didn't quite match the 7 1/3 no-hit innings he turned in last Friday, but was still able to register a quality start with two earned runs on five hits in six innings. Ray's line wasn't too shabby either. He allowed two runs on four hits in 6 1/3. "I was able to make some big pitches and get in some big situations," Stripling said. "Threw strikes, just pound the strike zone all night, that's just kind of my game. Was able to keep them off balance and as far as what you take from it, watch some video tomorrow, watch some of the big pitches and build on that. Keep it going every five days and keep making starts." Something new with Stripling: It didn't take long for the D-backs to break up Stripling's career no-hit status, as the game's first batter, Jean Segura, smacked a single up the middle. Stripling immediately responded by forcing Socrates Brito into a double play in the next at-bat, then retired nine of the next 10 Arizona hitters. Manager takes the blame: D-backs manager Chip Hale took responsibility for the loss for not bringing in Tyler Clippard instead of Delgado in the seventh inning. Hale said despite the fact that Clippard had pitched in two straight games that the right-hander was available. Dodger bullpen bounces back: While the Arizona bullpen faltered, the Dodgers' bullpen bounced back with J.P. Howell, Yimi Garcia, and Kenley Jansen combining for three innings of shutout ball with four strikeouts and one hit. It was especially good to see from Howell, who had allowed six runs in his last two appearances. "You look at the guys he had to face tonight, it was lined up perfect for him," Roberts said. 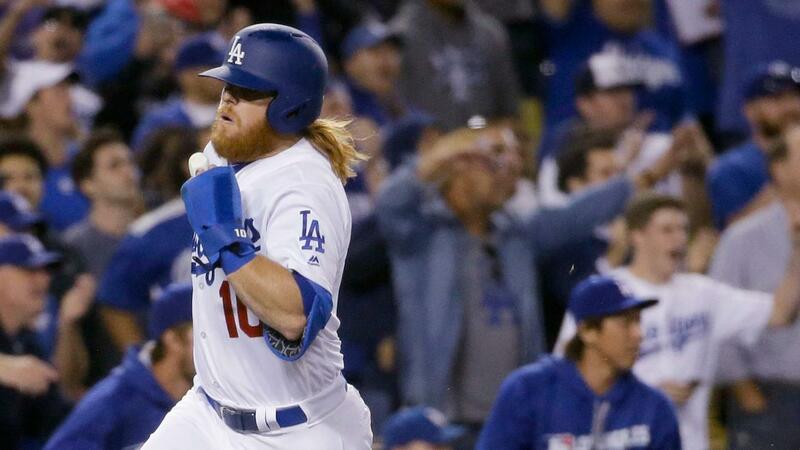 "He went out there and did what J.P. Howell's done his entire career. That is something for him to build on and get that confidence, keep whatever confidence he had, whatever way you want to put it, going into this next series." Good start for Ray: Despite five walks, Ray probably deserved a better fate. The lefty had allowed just three hits in six shutout innings before giving up a walk and a single during the disastrous seventh. "I had five walks tonight, but that's something to build on," Ray said. "I felt like I pitched good tonight." D-backs: Zack Greinke gets the start Friday, which is Jackie Robinson Day, as the D-backs open a three-game series against the Padres at Petco Park at 7:40 p.m. MST. Greinke is 6-1 with a 1.56 ERA in 12 career starts against San Diego. Dodgers: Clayton Kershaw will take the mound opposite Madison Bumgarner in another faceoff between the NL West aces at Dodger Stadium. First pitch is scheduled for 7:10 p.m. PST.